As summer draws to a close, I am enjoying the last of those fresh summer peaches before we have to make due with frozen and canned peaches again. This recipe for peach pie cocktail brings summer to you year-round. 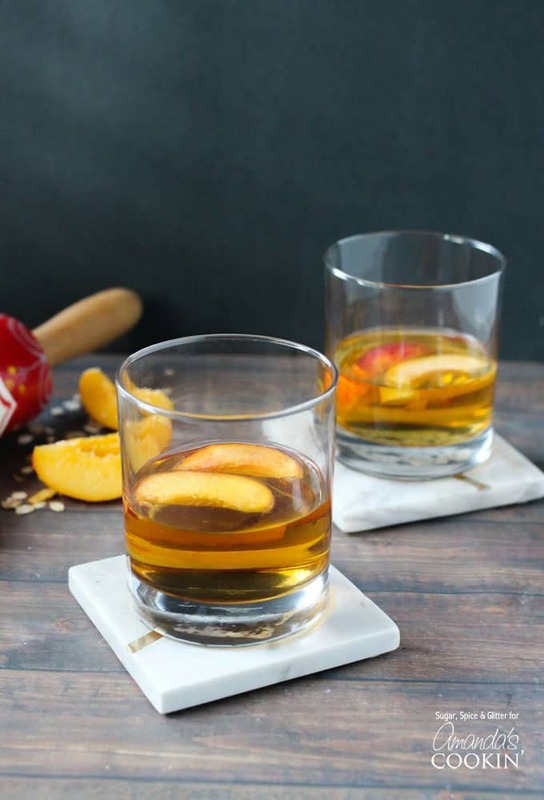 With a touch of cinnamon, this adult beverage is reminiscent of the perfect peach pie. 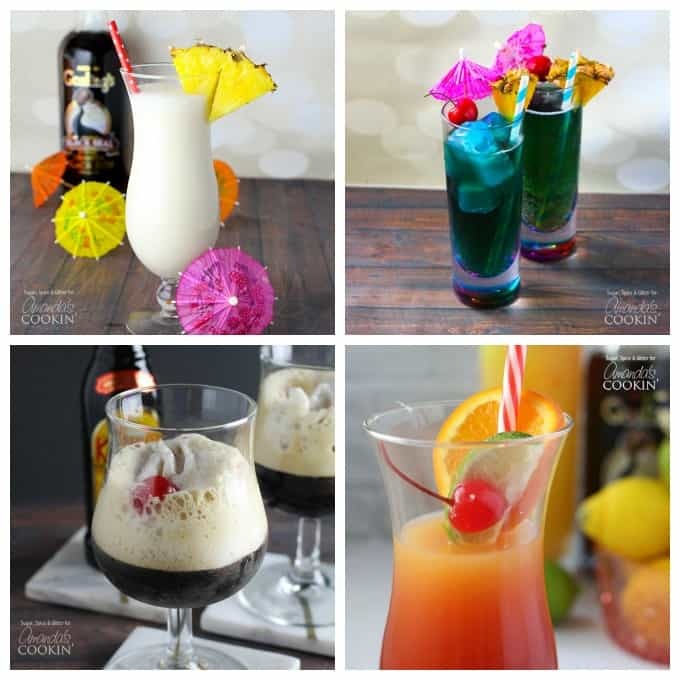 As you can probably tell by now, I am a huge fan of dessert cocktails – like our Root Beer Float or Grown-up Root Beer Float. 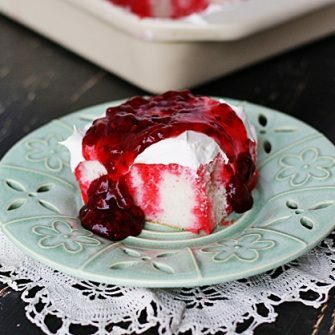 Why choose when you can combine two of the best late-night indulgences?! This Peach Pie Cocktail is one that you can really make your own – you can even add this cocktail recipe to a peach smoothie, or blend it with some frozen peaches for a peach pie daiquiri! 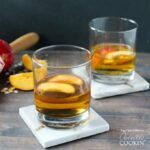 I used frozen peaches in place of ice cubes – they make a cute garnish and you can eat them after enjoying your drink once they have softened and absorbed a bit of the cocktail. 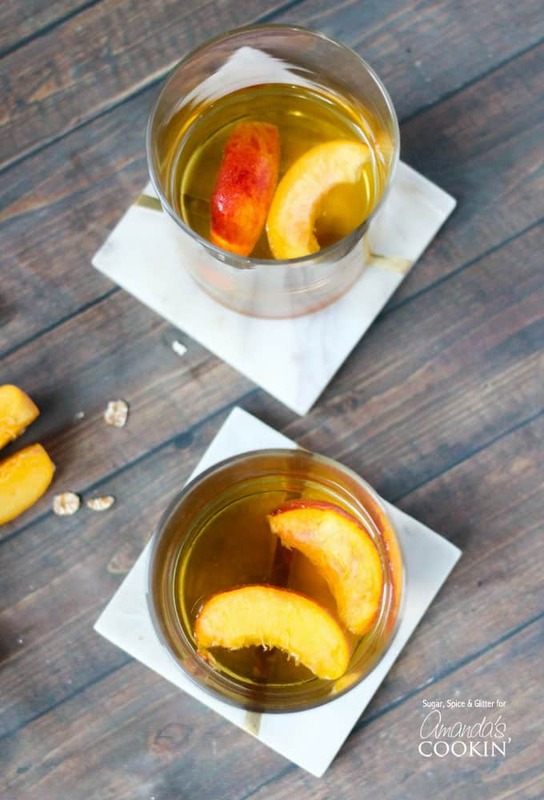 Be sure to pin this Peach Pie Cocktail recipe for later – you’ll be glad you did! Are you a fan of peach recipes? Be sure to check out some of my other favorites, like our Peach Pie Smoothie Bowl or our Peach-Glazed Pork Chops. And if you’re a fan of Fireball cinnamon whiskey like we use in this cocktail, satisfy your sweet tooth with this fireball fudge! This Cranberry Prosecco Punch makes the perfect fall and Thanksgiving inspired cocktail. For a refreshing and frothy drink that reminds you of your favorite coffee house treat try thisKahlua Frappuccino! This recipe for peach pie cocktail brings summer to you year-round. With a touch of cinnamon this adult beverage is reminiscent of the perfect peach pie. Fill a cocktail shaker with ice and place the alcohols into the cocktail shaker. Shake to blend and then strain out into your glass. 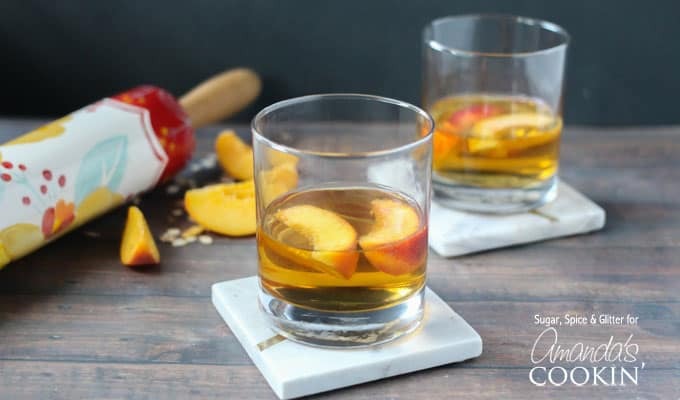 Use frozen peaches as a flavorful twist on ice cubes.